The pointed pen is known for simple scripts, serifed Roman forms, bold flourishes, and even gritty scrawls. This urban workshop will help beginners and experienced letterers alike to learn the tools and the rules for this old-is-new-again device. You will gain a basic understanding of how the pointed pen works, in the famous Type Camp learning style, all while creating your own script alphabet. We’ll even develop choice words that you can digitize later on your own. Class starts at 9.30am and ends at 5.00pm, with a 90 minute lunch break in the middle. 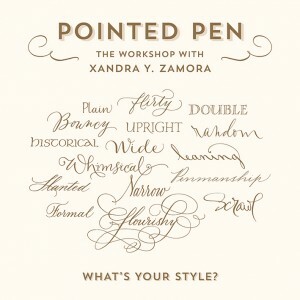 Pointed Pen Technique With Xandra, your forms will flourish. 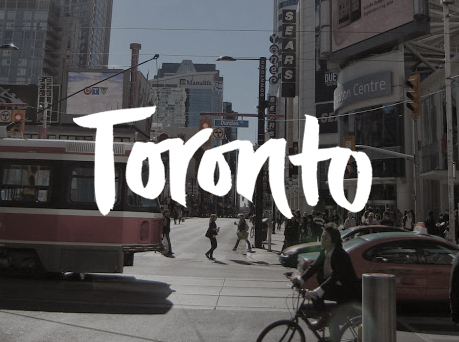 Creative Typography With Shelley, you'll do more than you think you can. No computers needed - we're all hands today. All members of the RGD get $50 off their registration. Just mention it on your registration form and email us your membership information.